A perfect hair removal option for women, it contains natural, bioactive ingredients like Papain, Sunflower & Jojoba Oils, which penetrate the skin to weaken the hair roots, leading to slow hair growth. 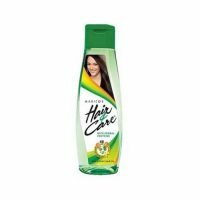 Superior-quality hair retardant made of natural, anti-hair & pro-skin bio active ingredients Papain, Narcissus Tazetta Bulb Extract, Sunflower & Jojoba Oils, Allantoin, Liquorish Extract, Witch Hazel & Himalayan Spring Water that help render the hair regrowth slower, finer & sparser after each application. 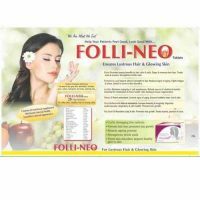 Get smoother, silkier, sexier body & face, unmarred by ugly, unseemly hair! Get rid of frustrating facial/body hair, for a smooth, silken, glassy look! 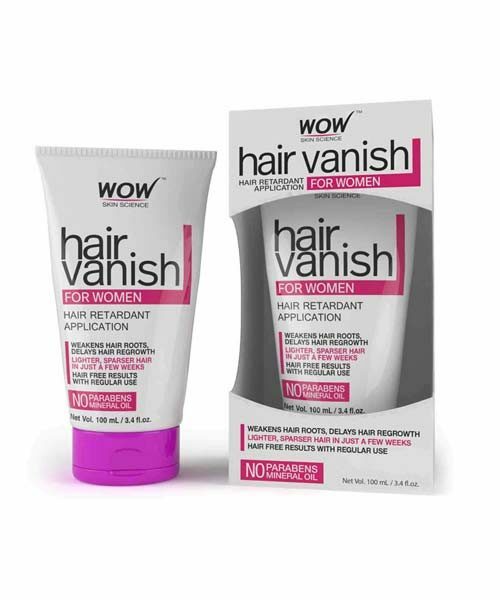 After hair removal by waxing/shaving/threading; Apply WOW Hair Vanish for Women liberally over freshly cleared skin and massage till it is absorbed. For best results, repeat twice a day for 7 days immediately after each hair removal. After hair removal using depilatory creams; Apply WOW Hair Vanish for Women liberally over freshly cleared skin and massage till it is absorbed. For best results, repeat twice a day regularly & immediately after each hair removal. We brings to you various WOW Products from where you can directly order.